The years of fear and loathing are finally over and Angkor is once more the symbol of the nation, drawing pilgrims from across the globe. Peace has come to this beautiful yet blighted land after three decades of war, and the Cambodian people have opened their arms to the world. Tourism has well and truly taken off, yet a journey here remains an adventure as much as a holiday. Contemporary Cambodia is the successor state to the mighty Khmer empire, which, during the Angkor period, ruled much of what is now Laos, Thailand and Vietnam. The remains of this empire can be seen at the fabled temples of Angkor, monuments unrivalled in scale and grandeur in Southeast Asia. The traveller’s first glimpse of Angkor Wat, the ultimate expression of Khmer genius, is simply staggering and is matched by only a few select spots on earth, such as Machu Picchu or Petra. 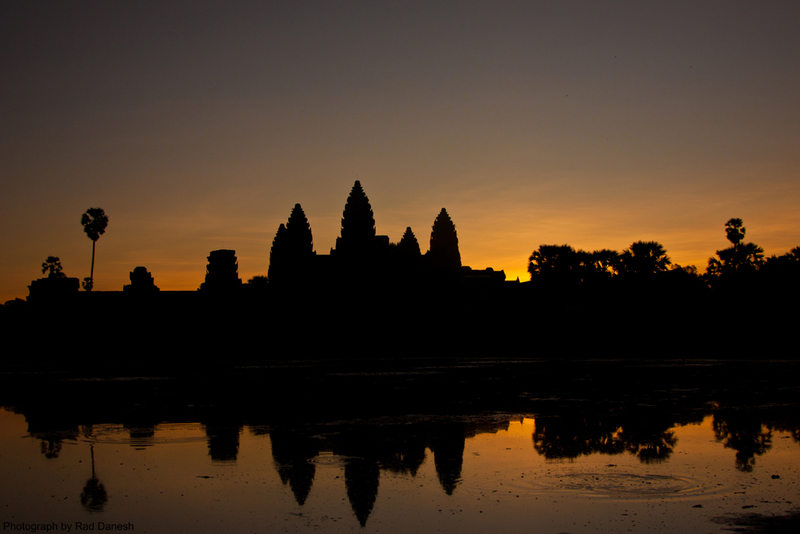 Just as Angkor is more than its wat, so too is Cambodia more than its temples. The chaotic yet charismatic capital of Phnom Penh is a hub of political intrigue, economic vitality and intellectual debate. All too often overlooked by hit-and-run tourists ticking off Angkor on a regional tour, the revitalised city is finally earning plaudits in its own right thanks to a gorgeous riverside location, a cultural renaissance, and a dining and drinking scene to rival the best in the region. Siem Reap and Phnom Penh may be the heavyweights, but to some extent they are a bubble, a world away from the Cambodia of the countryside. This is the place to experience the rhythm of rural life and timeless landscapes of dazzling rice paddies and swaying sugar palms. Spend some time in the srok (provinces), as Cambodians call them, enjoying a dar leng(walkabout) to discover the true flavour of the country.